High Velocity Dual Fan (10?) FSQQ [High Velocity Dual Fan (10â€�)FSQQ] - $74.95 : NewDaVincis.com!, Great Innovative Products, Gadgets and more. (Item will be available on 2/12/09. Order now to reserve yours). 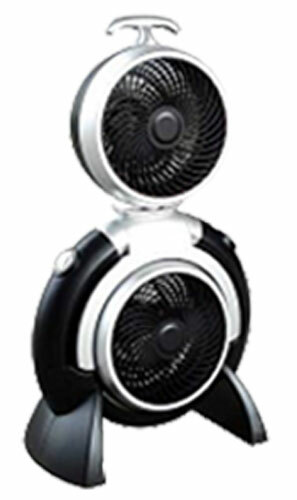 High velocity dual action fan greatly improves air circulation in your home or office. 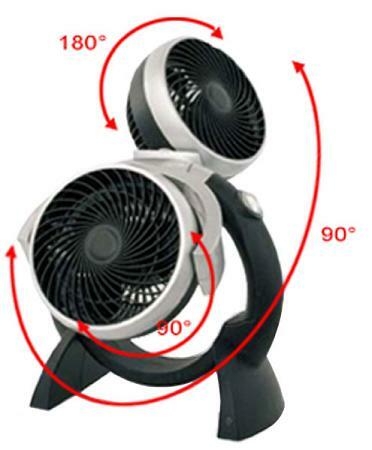 Two rotatable fans and body pivot allows air to be directed as desired. Each fan is independently controlled, with 3 fan speeds. 16 x 9 x 27.5 in. 16.5 x 9.5 x 28.9 in.